Hi, I’m Rob Dawson, the DIO’s Principal Project Manager for Lightning. 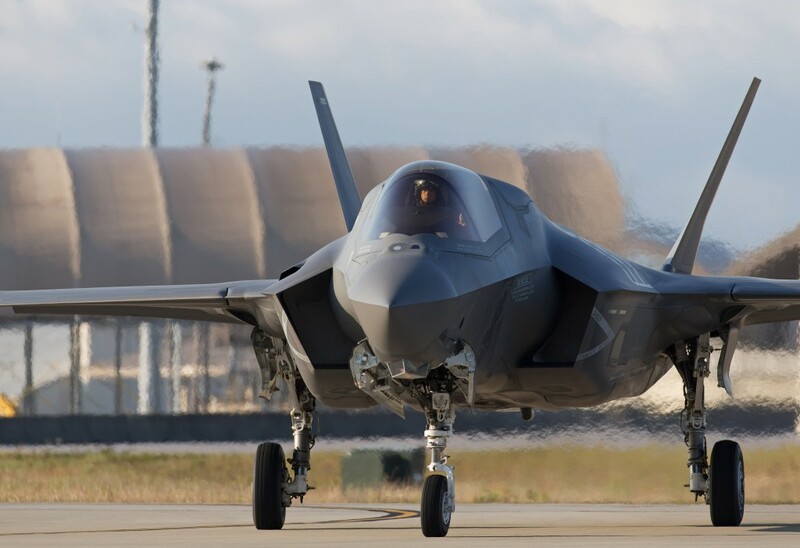 Since our last update there has been some significant developments on the site at RAF Marham in Norfolk which are helping us prepare for the arrival and operation of the UK’s F-35B Lightning aircraft. As a quick reminder, the UK has ordered a number of state-of-the-art F-35B aircraft so that frontline aircraft will be available to the Royal Navy and Royal Air Force for land- or sea-based deployments in the UK from mid-2018. This programme is vital to the future capability of the UK’s Armed Forces and will ensure that the UK has a battle-winning fleet of jets deployable anywhere in the world. 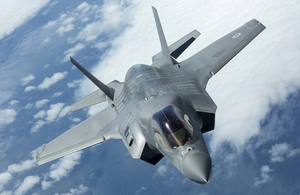 RAF Marham will be the main operating base for the F-35B Lightning II with the first aircraft arriving in mid-2018. The first UK squadron of Lightning 617 Squadron will stand up, initially in the US, from 2016 and transition to the UK in 2018 – coherent with drawdown plans for the Tornado GR4. A lot of changes need to be made to the existing infrastructure in order to facilitate the arrival of the new aircraft. Since our last update in April we have made substantial strides forward which will allow the delivery of office and technical facilities, aircraft shelters, servicing platforms, training facilities and aircraft operational surfaces. Work has started in earnest around the Station on the Multi Service Trench by contractor Balfour Beatty, Henry Brothers have progressed well on their utilities routes off station and demolitions work has been completed on the South Hardened Aircraft Shelter. We have also agreed leased access to a farmer’s land, allowing the construction of the new contractor’s access gate, now due for completion in early 2017. A significant recent milestone was the award of a £27m contract to Wates Construction Ltd for a new Squadron Headquarters for mission planning, administration and maintenance for the next generation of RAF operational fast jet aircraft. Work will commence early 2017 and be completed by mid-2018. With significant investment of infrastructure works already underway at RAF Marham, we look forward to continuing our association with one of the biggest projects of the MOD in the 21st Century so far into 2017 and beyond.